More than a thousand West Auckland kids are set to benefit from a new sports event with the announcement of a Henderson based triathlon this December. 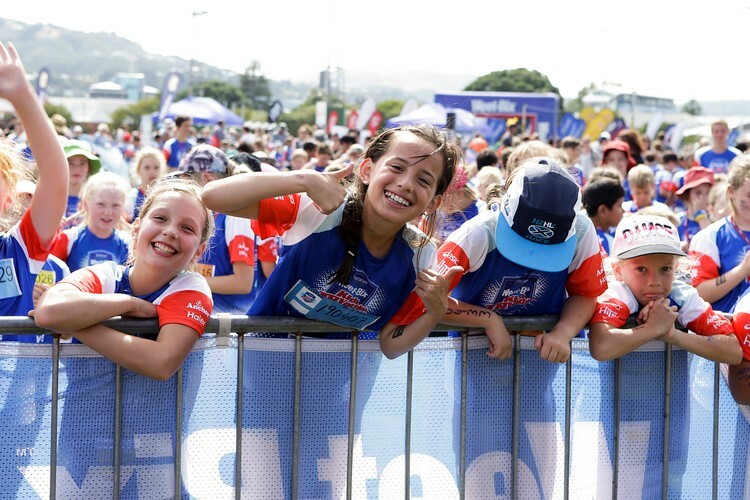 West Auckland will now be added to the Sanitarium Weet-Bix Kids TRYathlon series after the popularity of the event has seen all other Auckland events reach capacity. Over the past four years there has been an increase of over 50 percent in registrations for the popular children’s event, with four new events introduced over the past five years. The addition of a West Auckland venue comes after it was revealed the events in South Auckland, East Auckland and Hibiscus Coast are at capacity, with the South Auckland and Hibiscus Coast events oversubscribed and selling out weeks in advance. Sanitarium National Marketing Manager Jessica Manihera says demand for another TRYathlon was too high to ignore, and the introduction of this new event will mean more children will get the chance to experience the sense of achievement and success which participation in the Weet-Bix Kids TRYathlon offers. “We are excited to bring the Sanitarium Weet-Bix Kids TRYathlon to West Auckland. Our goal is to encourage Kiwi kids to lead healthy and happy lives, and to set themselves achievable goals that help build their confidence, no matter what their level or ability,” says Manihera. Ït’s great to have the support of the West Auckland bodies including; local council, the Regional Sports Trust, Auckland Council, Sports Waitakere, traffic management and Henderson High School so that more children in the West Auckland community are given the chance to realise their full potential.” says Manihera. The new West Auckland TRYathlon will be held on Sunday 17th December 2017. Based at Henderson High School, the swim will take place in the school’s outdoor pool, followed by a bike ride around Henderson Park and local roads, ending with a run on Henderson High School fields. To register for the West Auckland TRYathlon or to find out more information on events around the country, visit www.try.weetbix.co.nz. Note: Times indicative. Official timings TBC.